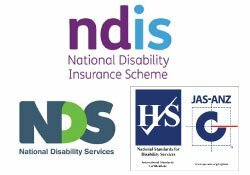 The National Disability Insurance Scheme (NDIS) is available for Australians up to age 65 that are living with a permanent and significant disability. To participate in the NDIS, you need to meet certain disability or early intervention requirements. If you are unsure whether you are able to access the NDIS, please complete My Access Checker. We want to help create a pathway for you to achieve your goals. There are five steps involved in developing your plan of supports. This booklet is your guide to being an NDIS participant. It will help you understand the path you will travel and provide an overview of what to expect at each stage. Your personal planner can assist you through the process of accessing the NDIS, help you identify your needs, goals and current supports and develop your individual plan.